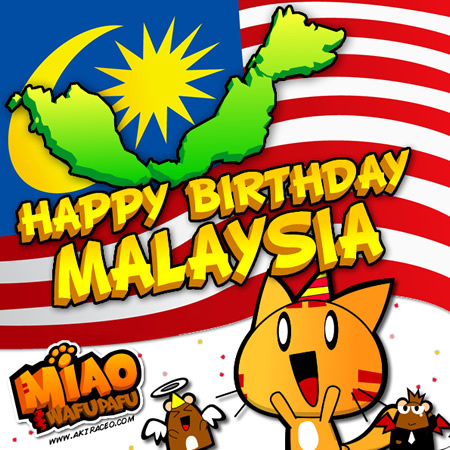 Miao & WafuPafu Comic Blog » Animation: Happy 49th Birthday Malaysia!! 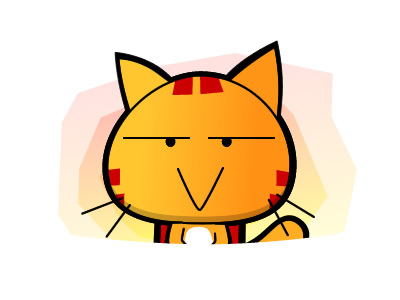 « Miao trying to know Girls. 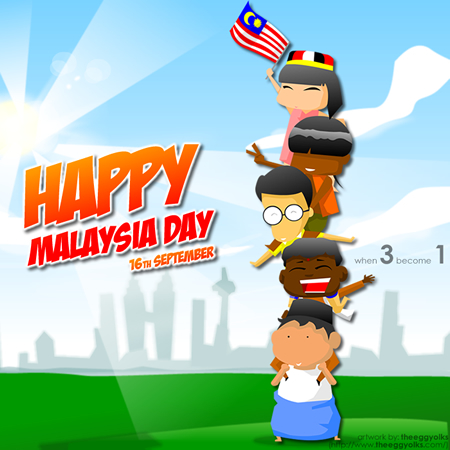 Animation: Happy 49th Birthday Malaysia!! Yep!! Today is Malaysia’s Birthday. Happy Malaysia Day!! You can check out this video I found on Youtube. There’s some old photos and videos. Oh, remember the Short film Animation, I mentioned the other day? The theme suppose to be about unity. Yes, I know. I got carry away. Posted on September 16, 2012 by Jian Akiraceo. 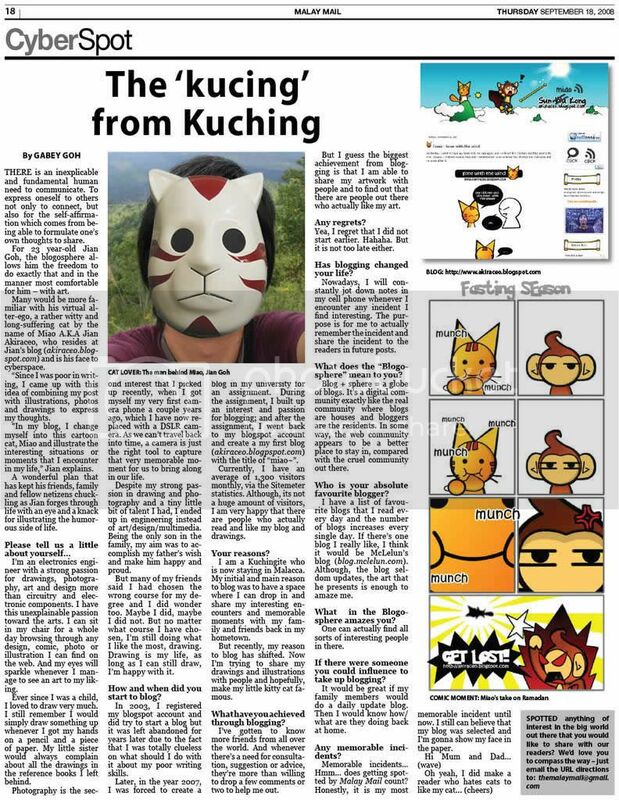 This entry was posted in Announcement and tagged Animation, Malaysia day, Smile of Unity, Unity Animation, Video Contest. Bookmark the permalink. happy malaysia day!!!!! ~~~~ piu~~~pom!! pom!! pom!!!! Nice!!! + … Fairy Tail Soundtrack was a nice touch too~ !!! Great video… keep it up! awesome vid.. the theme is presented loud n clear. nice vid! did u do it in flash? Why you all know this song? I see Iban, Bidayuh, Malaysia and Chinese. And when the Malay boy is clad in black, he looked Melanau. Should add in orang ulu, then it’ll be more representative of Sarawak. Then again, it still not really fully represented as there are certain ethnics not under orang ulu classification like Penan, Punan, Kedayan. I read the manga tho. I happened to heard this song from youtube and like it. oh wait, u mean fairy tail or mine?